*Recently, it has been reported that Antioxidants reduce pain in formalin test. It has been reported that Rosa damascena contains Flavonoid. *Rosa damascena has beneficial effects on the Brain function such as treatment of Dementia. *other effect of Rosa Damascena to central nervous system is its hypnotic effect. *A recent studies, demonstrated anti-HIV effect for this plant. *It has been shown that Rosa Damascena has wide spectrum Antimicrobial activities. 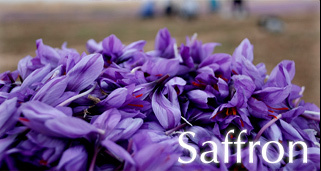 *This plant has also been shown to have anti-inflammatory effect. * The Rose also offers a soothing property to the nerves and emotional /psychological state of mind. 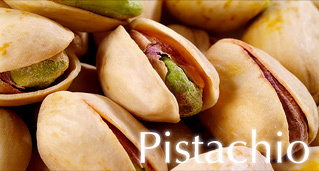 It is regarded as a mild sedative and anti-depressant. It is increasingly used in treatments for conditions of Stress, nervous tension, peptic ulcers, and Heart disease, among others. *In aromatherapy the oil of this type of Rose relieves anxiety, Depression, Nervousness, Tension Headaches, and Sadness when applied to the skin, especially temples and Neck. Middle Easterners also recommended the oil as an aphrodisiac. Homeopathic medicine practitioners recommend Rosa Damascena as a remedy for Asthma, High Fever, Allergies, and Itchy, Runny eyes. As an Herbal remedy supplement, the plant is available in pill form, Granules, Ointments, and liquids. Patients should always check with a doctor before adding supplements to their Diets. Rose Essential Oil may be used on all skin types, especially mature and sensitive skin. For centuries the Rose has been associated with feminine beauty and Skin care. Rose essential oil has a long history in Folk remedies, especially in the area of skin care. It is suitable for all skin types, but it is especially valuable for dry, sensitive or aging skins. Rose essential oil is definitely multipurpose oil. It moisturizers and Hydrates, it can reduce Inflammation, reduce redness, tone and lift skin, Heal broken capillaries, and fight wrinkles. *Rosa Damascena flowers and fruit are often used in cooking, especially in Middle Eastern foods. Rose water, made from the essential oils of the petals, is used for flavoring Beverages, Candies, and Desserts. The Dried petals and small buds are used in the Moroccan spice mix called Ras el hanout, while recipes made from poultry and fresh flower petals are used in countries from the Middle East to Central America. The orange-red fruit of roses, called the hips, are rich in vitamin C.
It is an abundant product of Rosa Damascena in which contains 10-50% Rose oil. The most usages of Rose water are to calm and relax people. 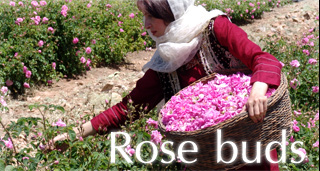 The highest quality Rose water is produced in Kashan. Rose water is also of high value in the food industry and some special Foods are prepared by using this product.